Car Buying: Fast, Fair & Simple. Juan was awesome from the first phone call to the last signature! I was nervous buying a car, as it was the first time I was purchasing from a dealership on my own. Juan calmed my nerves and asked me what I was looking for and what my budget was, I told him exactly what I was looking for and he found me the perfect car. all in all it was a great experience and I'll be back for my future car purchases! Excellent service and could act as an example for "Customer-centric" service. Polite, professional, and knowledgeable coupled with good product knowledge. Overall, the best car buying experience I have had since 1996. Work with ONE non-commission sales consultant through the whole process. We won't hand you off to the finance department or pass you around to different managers. 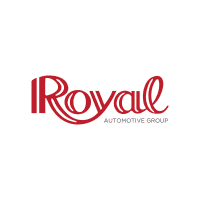 At Royal Automotive Group, our customers come first. We make the car buying experience easy, comfortable and fair. Come see why Royal Automotive Group truly is "The Dealership that's Different."